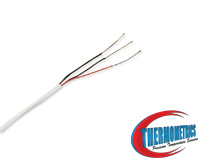 Thermometrics Corporation manufactures a complete line of temperature detectors including resistance temperature detectors. Using the 2-wire method, the two wires that provide the RTD with its excitation current and the two wires across which the RTD voltage is measured are the same. In a three wire RTD one of the wires is connected to one side of the temperature element and the remaining two wires are connected to the other side of the element. . The optimum form of connection for RTDs is a four-wire circuit. It removes the error caused by mismatched resistance of the lead wires.. Piercing probe temperature sensor is manufactured with heavy wall tubing to provide support for production line handling and a spring relief. Our HVAC assemblies are made for easy installation, high reliability, and compatibility with most building automation systems. Field Adjustable Sensors are ideal for applications involving various sheath lengths that are best determined on site, rather than on an engineering drawing. For measuring high temperatures you should use a sensor, which reliably works in rough environments, has a long expectancy of life andideally comes up with the space-saving concepts of the automotive industry. Platinum Thin Film RTD Elements are fabricated using state-of-the-art thin film processing techniques, resulting in an element of exceptional quality and stability. Recognition of rising temperature can provide a warning of the breakdown of the bearing lubricating oil film; thus allowing machine shutdown and maintenance to take place. Prevention is always better than replacment. Sanitary RTD sensors provide precise temperature measurements for Sanitary applications found in the Food, Dairy, Beverage, Pharmaceutical and Chemical Industries. 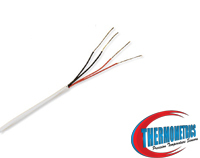 The averaging RTD sensors listed below measure the temperature over the entire sheath length to provide an average temperature measurement of the cross sectional area of air ducts, room gradient temperatures, and other low temperature averaging applications. Resistance thermometers,(RTDs), are temperature sensors that exploit the predictable change in electrical resistance of some materials with changing temperature. 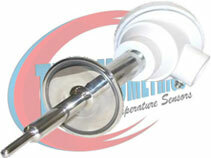 PT100 sensors offer excellent accuracy over a wide temperature range (from -200 to +850 C). The Pt1000 has 1000 ohms resistance at 0 C. These sensors are normally fitted into some type of protective sheath or mounting to form a probe. 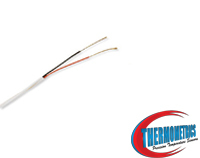 Flex armor temperature sensors are commonly used in extruder and plastic processing and bearing industries. 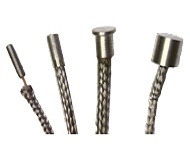 Universal design allows for quick thermocouple or RTD installation into existing twist-lock adapters. Weld Pad RTD and Thermocouple sensors are commonly used in Petro-Chemical industries. 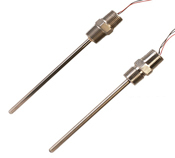 These sensors are welded to pipe to provide a measurement of process temperature. 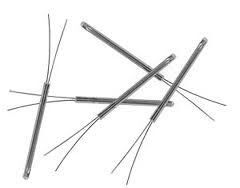 A Resistor is a two-terminal electronic component that produces a voltage across its terminals that is proportional to the electric current passing through it in accordance with OHM's law. 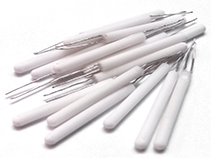 Wire wound elements are basically a "hand made" product which involves lot of skilled Labor. 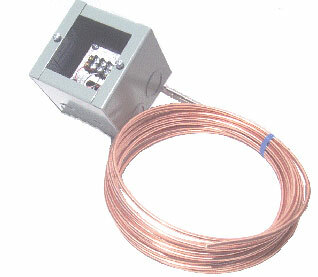 It is manufactured by placing a coil of thin wire into a ceramic insulator. The resistance of the coil is suitably adjusted to the ohms corresponding to that particular temperature.